Looks wonderful…I can just taste it…With a cup of Crown Keter, my favorite by the way. 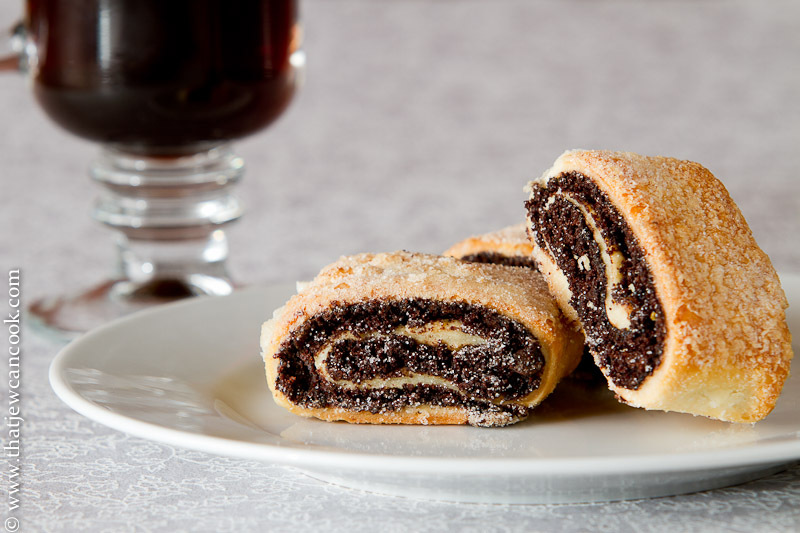 Rugelach is a staple around my house, my dad’s companion is always making it around the High Holidays. Did you use Nutella? You really can cook!!!!! Thank you for your continuous work in the culinary world. Hey Suzy, thanks for the props, but unfortunately I didn’t make these. Usually for my one-word-wednesdays I am focused on the image more than the food, so I do something quick — raw veg, or purchased stuff. In this pic, I was playing around with hard and soft light from the same direction. The hard light brings out texture, the soft light reduces shadows and evens things out. …but now that you mention it, these ruggelach would have been even better dipped in Nutella!! Beautiful photo. I am never disappointed. Crown-Keter is actually made by Rejwan in Jerusalem. Instant coffee that is, But don’t say anything until you have tasted it.. There is another Israeli Kosher Coffee that is sold in the stores here and the name of it is Elite. Elite doesn’t even compare to Crown-Keter. As far as I know there is only one place that sells Crown-Keter here in the US.